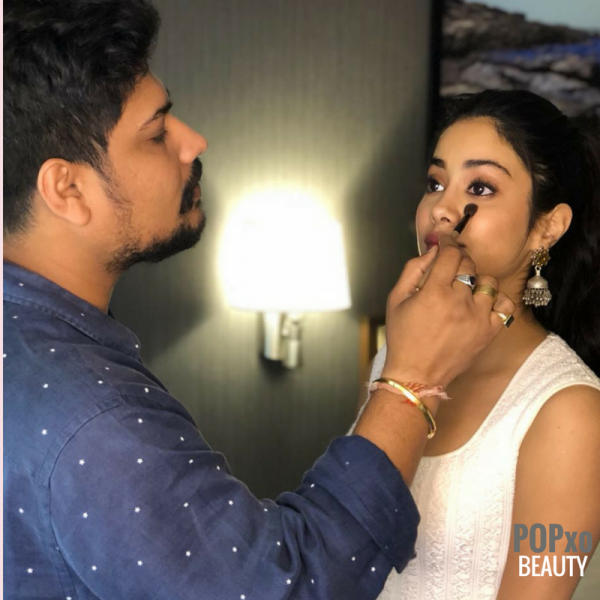 #POPxoExclusive: Makeup Artist Vardan Breaks Down Janhvi Kapoor's Beauty Look! 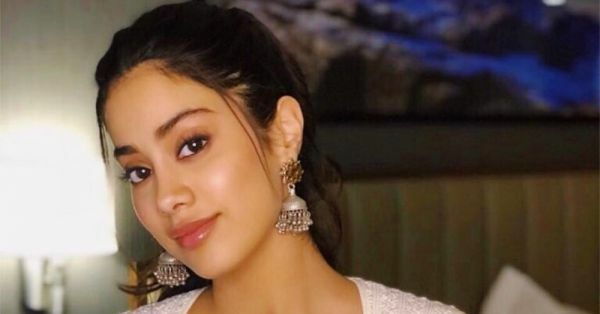 We have all been swooning over debutante Janhvi Kapoor's signature makeup look. It's not just us, but even you have been LOVING how mesmerising she's been looking. Well, our intrigue was killing us! So we stalked makeup artist Vardan Nayak and asked him to tell us how we can recreate the look, and he obliged. 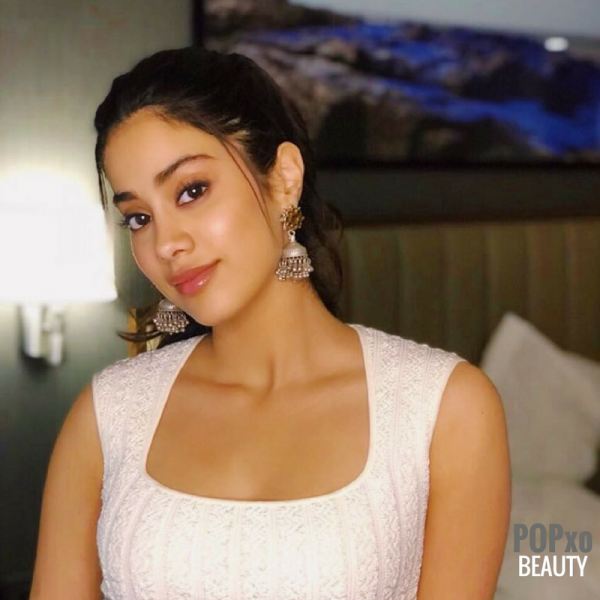 Here's a product by product breakdown of Janhvi Kapoor's signature makeup look! You're welcome! Step 1: Prep face with FARSÁLI Rose Gold Elixir Radiating Moisturizer. Step 2: Foundation is a combination of Benefit Sunbeam (golden bronze complexion highlighter) and Luminous Silk Foundation by Giorgio Armani Beauty, for a 'lit from within' glow. Step 3: Set the face with the M.A.C Prep + Prime Transparent Finishing Powder. Step 1: Prepped eye with Becca Cosmetics Rose Gold Glow, topped with Peachykeen from blusher palette by M.A.C. Step 2: Isabeal from the Master Mario Palette by Anastasia Beverly Hills. Hollywood from the same eyeshadow palette as a highlighter for the eyes. Step 3: On the lashline and waterline, M.A.C Pro Longwear Fluidline - Blacktrack & Stila Stay All Day Waterproof Liquid Eye Liner. Step 5: Benefit Brow Zings Eyebrow Shaping Kit (medium) to get the brows on fleek. Step 1: Tourmaline from the Anastasia Glow Kit - Sun Dipped on the apple of cheeks. Step 2: Add a natural flush with Benefit Benetint. Step 3: Finally, line your lips with Bobbi Brown Lip Pencil - Mauve topped with the same Benetint. We are so glad! We can't wait to try this look out. Tell me, which other makeup artists would you like us to stalk?